More than one of my friends has had or now has Alzheimer’s disease or is/was a caregiver for a loved one with dementia. One long-time friend recently found a ‘home’ for her husband who has Alzheimer’s, stating that she did this out of her love for Richard. She found the best possible facility and visits him regularly. He is doing well in a place that is staffed with professionally trained caring people. Another friend (an only child) lovingly cared for her mother for many years until her mom’s death. I mentioned to a relative, after learning her mother died with Alzheimer’s, that this disease is like cancer in that it affects (either directly or peripherally) every family. I believe this to be true and as I have posted before, when I am interested in anything, it seems as though I research it ad nauseam. It could be me. It could be me in either situation – as one with the disease or as a caregiver for a loved one. 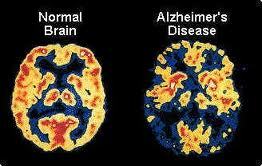 The statistics about Alzheimer’s are alarming and I think that it behooves all of us to learn about this disease. Alzheimer’s disease was the seventh-leading cause of death across all ages in the United States in 2006. It was the fifth-leading cause of death for those aged 65 and older. Almost 11 million Americans provide unpaid care for a person with Alzheimer’s disease or another dementia. These unpaid caregivers are primarily family members but also include friends. In 2009, they provided 12.5 billion hours of unpaid care, a contribution to the nation valued at almost $144 billion. In Texas, an estimated 852,820 caregivers annually provide 971.2 million hours of uncompensated care valued at $11.2 billion. The 2009 NAC/AARP survey found that 14 percent of caregivers of people with Alzheimer’s and other dementias were under age 35; 26 percent were aged 35–49; 46 percent were aged 50–64; and 13 percent were aged 65 and over. Caring for a person with Alzheimer’s or another dementia is often very difficult, and many family and other unpaid caregivers experience high levels of emotional stress and depression as a result. Caregiving also has a negative impact on the health, employment, income and financial security of many caregivers. Posted in Alzheimer's and tagged Alzheimer's, caregivers. Bookmark the permalink.